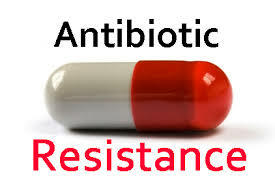 Antibiotics are drugs that are effective in killing off bacterial infections rather than viral infections. Therefore, when an antibiotic is taken by someone for the purposes of killing off a viral infection; it ends up attacking healthy bacteria. The killing of harmless bacteria leads to antibiotic resistance in the body. Sadly, doctors are responsible for this issue because 10% of doctors write out prescriptions to 95% of patients who visit them with an acute respiratory infection. The reasons as why this occurs is due to a couple of possible reasons according to Mayo Clinic. First, doctors may prescribe antibiotics before receiving test results that show an infection is viral instead of bacterial. Second, doctors may be pressured by patients to be prescribed antibiotic medications. In this study Dr. Barbera Jones, assistant professor of medicine at the University of Utah and clinician at the VA (Veteran Affairs) Salt Lake City Health Care System, UT along with her colleagues analyzed the Veteran Affairs electronic health record. This health record involved 1,044,523 patient visits only for acute respiratory infections (ARIs). The purpose of this study was to get a better understanding in antibiotic prescribing methods among physicians. One of the first things that the researcher’s found out was that antibiotics were prescribed in 68% of all patients who were visiting a physician for an acute respiratory infection. Outside of that, Dr. Jones and her researcher’s found out that there was a 10% increase in the amount of macrolides being prescribed to patients with an acute respiratory infection. This is disappointing to say the least, because of current medical guidelines, which recommends against the use of macrolides as a primary treatment for most acute respiratory infections. Furthermore, what is more shocking is that the study revealed a great difference in prescription practices among physicians. In this case 10% of physicians prescribed antiobiotics for 95% of patient visits for acute respiratory infections, but only 10% wrote an antibiotic for 40% patient visits for acute respiratory infections. To find out the reasons behind the differences in antibiotic prescribing practices, Dr. Jones and her colleagues carried out an additional analysis of 480,575 patient visits for acute respiratory infection. The results from this analysis showed that 59% of the variation was due to prescribing habits, 13% of the variation was due to differences in prescribing practices in hospital centers, and 28% of the variation was linked with differences in prescribing practices among clinics. Based on all of these results, Dr. Jones and her colleagues believes that by improving and comprehending how physicians make decisions about antibiotic prescribing can assist in helping to reduce antibiotic overuse as time goes on. Antibiotic resistance in the body due to the inaccurate prescribing of antibiotic prescriptions by physicians, reminds me of the time when physicians used blood letting as a means to treat patients. This was done primarily because of the fact that doctors believed that it was better to do something than nothing. For example, during the time of the Yellow Fever epidemic, Benjamin Rush found a report that stated that Yellow Fever was caused by too much blood. Because of this assumption 2.5 L of blood was taken out by Yellow Fever victims, which unfortunately killed many of them. The point is that those Yellow Fever patients of the past as well as the the acute respiratory infection patients who are not being prescribed accurate antibiotic prescriptions need to be understand that human intuition including doctor’s are lousy, but need to be aware of soft end and hard end points. Personally, I’ve experienced this kind of thing from a physician about a year ago; he wrote me a prescription right away for two antibiotics, when I went to his office, and told him that I had a stomach virus. Variation in outpatient antibiotic prescribing for acute respiratory infections in the veteran population, Barbara Jones et al., Annals of Internal Medicine, published online 21 July 2015. University of Utah Health Sciences news release, accessed 20 July 2015 via Newswise. Mayo Clinic, Antibiotics: misuse puts you and others at risk, accessed 20 July 2015. This entry was posted in Uncategorized on March 9, 2016 by Ebenezer Berhanu.